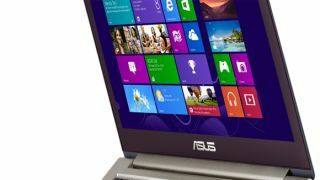 Asus will bring the all-new Zenbook Infinity Ultrabook to Computex 2013 in June, which the company claims will be slimmer and more durable than previous models. In an effort to take form and function to the next level, Asus' Zenbook Infinity will be the first Ultrabook to feature a lid comprised entirely of Corning's Gorilla Glass 3. The Gorilla Glass will be fused directly to the the aluminum frame, allowing Asus to cut the thickness of the Zenbook down 14 percent to a slender 15.5mm. The area surrounding the keyboard will also be covered in Gorilla Glass 3, adding another layer of damage resistance previously unheard of in Ultrabooks. Gorilla Glass 3 offers three times the scratch resistance than the previous generation, and offers a 40 percent reduction in visible scratches. Unfortunately, Asus didn't share much else in the way of specifics when it came to the Zenbook Infinity. There's a chance the debut at Computex will tie in nicely with Intel's unveiling of the Haswell chips, and could feature the 4th generation Core processor. An exact size wasn't given either, though it's probably safe to assume it will come in at a similar 13.3-inches like the Asus Zenbook Prime. The Zenbook Infinity is expected to launch during Q3 2013, but more concrete details should become available in just a few weeks when Computex kicks off. Check out our comprehensive guide to the best Ultrabooks to choose from for more on the Intel-powered laptops.